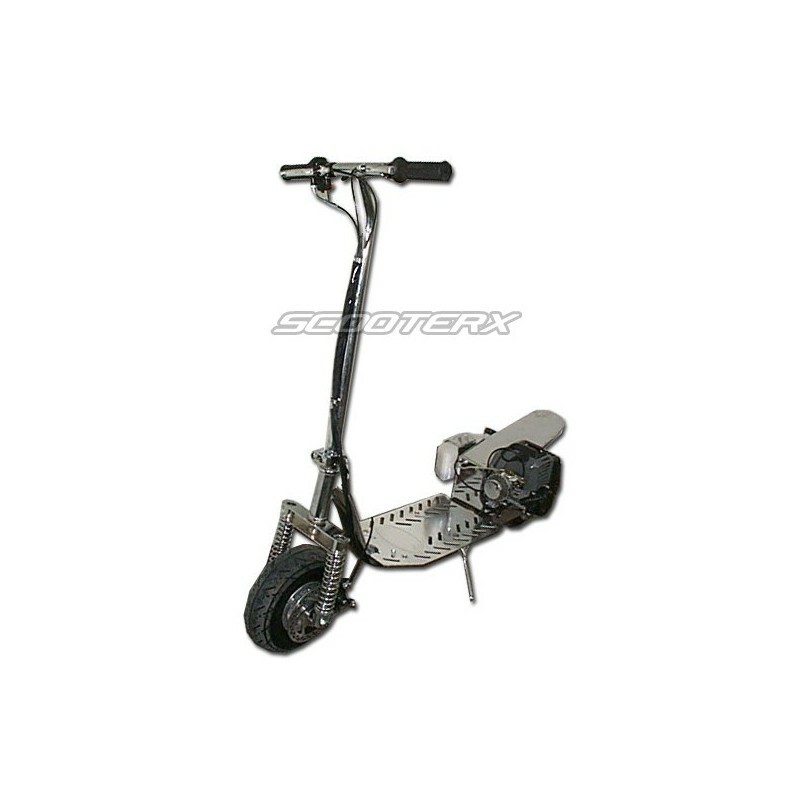 The ScooterX X-Racer has been around since 2003 and has been one of our top selling scooters ever since. 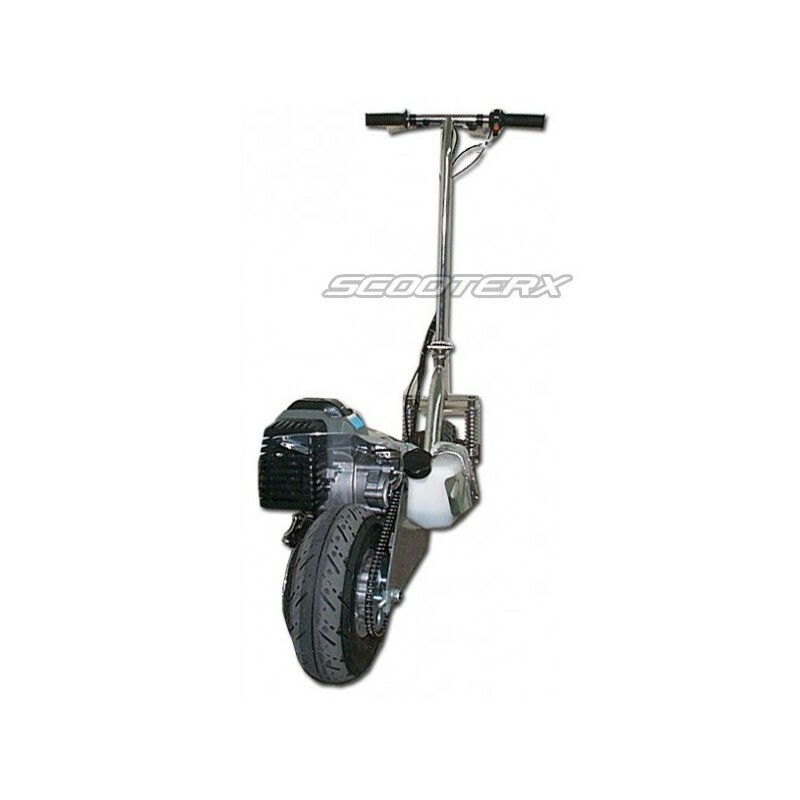 This model comes with the 49cc Race motor, Foldable bars, and large 10 x 3.5 inch tires. 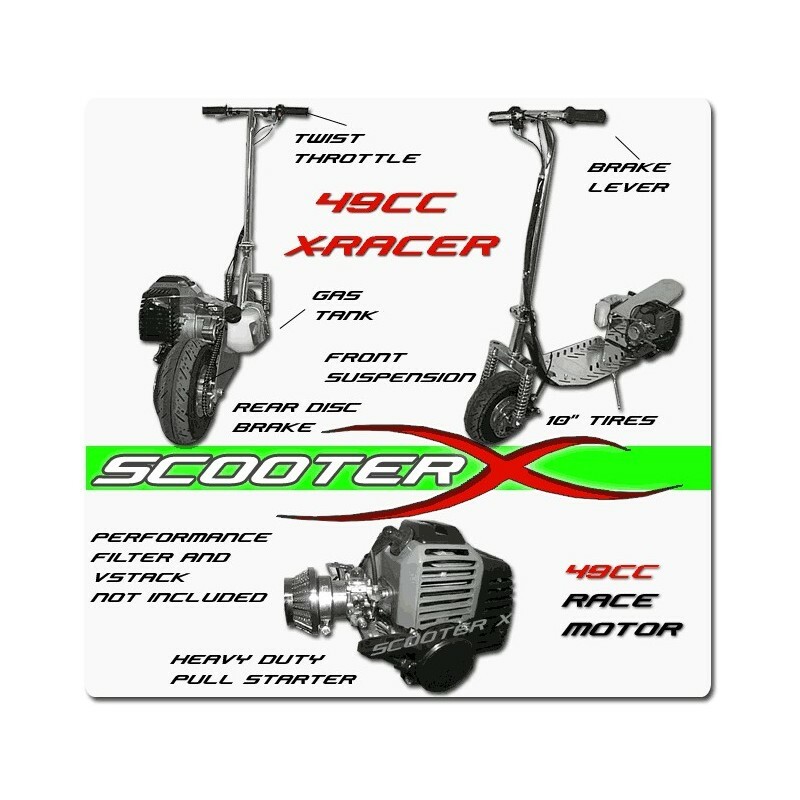 The 49cc X-Racer comes standard with the following listed features. The X-Racer comes with foldable bars for easier transportation. This is one of the most powerfull 49cc motors on the market. Comes stock with high compression head! These tires are meant for pavement and mild off road use. 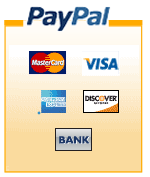 Disc brakes are much safer than drum or band brakes(commonly used on chinese scooters) for the fact that they work much better. This comes standard on all of our scooters. 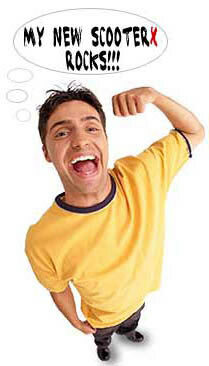 We find the twist throttles are longer lasting than trigger throttles due to triggers always breaking. 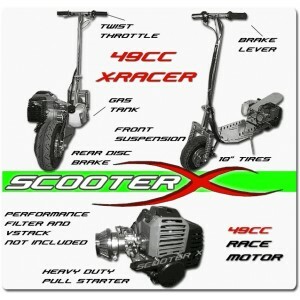 Also standard on all ScooterX models is the aluminum deck. Superior to wood for obvious reasons.